When the Samsung VR headset first set sail, it was received with both awe and disagreement. However, the newly improved Gear VR headset is here and it’s an all-new VR immersing apparatus. Although new, it still has its ups and downs. Our review will focus on functionality, price and adaptability. Let’s see what the Samsung Gear VR can do. The key feature of the Samsung VR headset is that it combines elegance with usability. The wireless VR headset can be used virtually anywhere. You can use it while comfortably sitting on your bed and dive into the ocean. Or explore a puzzle-island using just your eyes and head movement while sitting in the park. Or perhaps watch Cirque du Soleil’s performances while resting on your armchair. And it comes with a microSD card with pre-loaded Gear VR content. It will definitely consume a lot of battery power from your phone. Luckily, you can charge your VR headset while in use. Depending on what apps you’re running, the headset will, or will not, use power from both the charging cable and your phone. You can connect your headphones to the phone for even more VR immersion. And even turn on your phone’s camera to see the world around you without taking off the headset. This is as close as it can get to a pretty awesome VR immersion without having to pay a lot of money for a top gear PC or VR complete set, such as the HTC Vive headset or Oculus Rift, to name just two. And the Samsung headset is only $49.85 on Amazon, shipping included. Samsung VR headset’s low price belies a compelling VR experience. The games are quickly catching up to the hype. The headset is fairly light and offers a completely cordless experience. If the Gear VR is not used while the charger is connected, the phone’s battery will be charged. It only works with some recent Samsung phones. The mobile VR experience still pales in comparison to more robust upcoming PC- and console-based options. Not as visually impressive or technically powerful as PC-based headsets. The main part of the VR headset looks like a snorkel mask or sleeping mask. It has two lenses which are the main feat to turn the screen of the phone into a VR experience interface. On top of the headset there’s a turning wheel to adjust the focal distance of the lenses. 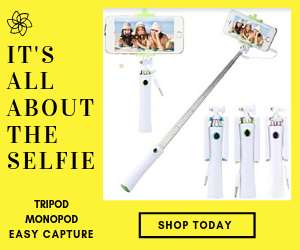 The bonus part is that it can be used by eyeglasses wearers too. However, it might be a little tighter than without the glasses. So be cautious. It has two layers of foam for a comfortable wear, especially for those who will want to use it for a prolonged period of time. Now comes the not-so-bright part: the Samsung VR headset can only be used with compatible Samsung phones. So those who aren’t fans of Samsung’s phones won’t be able to enjoy the VR experience. Unless they have a friend with a Samsung VR-compatible phone and the headset in order to test. The phones compatible with the Samsung VR headset are the following: Samsung Galaxy Note5, Note7, S6, S6 Edge, S6 Edge+, S7, S7 Edge. Remember, though, the Note7 phablet has been discontinued due to battery issues. So only the other ones remain. Controlling the Samsung VR headset is intuitive enough. You aim with your eyes. You move with your head. And that’s basically it. You have two buttons: a Home button, which will take you to the main menu of the Oculus Home interface. The Back button will take you to the previous menu or wherever you happened to be within the VR UI. Additionally, you can connect via Bluetooth an Android joystick, or a wireless one for a traditional approach. As far as display is concerned, that is a different topic. Firstly, the resolution depends mostly on the type of phone you have. To offer our readers a standard denomination, it has a 2560 x 1440 Quad HD resolution. However, pending on the type of phone you use (with a larger screen, thus a larger pixel per inch coverage), the graphics may and will vary. Broken down into 1280 x 1440 per lens display, this is further reduced when the phone is put into use. Why? Because, unlike Oculus or HTC’s VR headsets, which are dedicated VR headsets, this one is dependent on the phone. One final note: some of the 360° videos will have easy-to-spot imperfections due to the technology used to record the videos. But, since this is a new sort of technology, it is a pardonable con of the VR headset. After all, the technology is still evolving. The setup process of the Samsung VR headset is simple as pie. It might be a little time consuming, for it needs to install some apps and content. But this won’t be a very complicated process. It’s mostly on autopilot. You’ll have to charge the headset, and your phone – if necessary –, before using it. You can find further documentation about setting up the VR headset on Oculus’ documentation page. The head straps are easily mounted: they’re Velcro attachments and a hook and eye for the over strap of the headset. After this is done, place your phone into the designated slot and that’s it. It will automatically load the VR mode and install what needs to be installed. The first time of use, the headset will prompt you to take the phone out and install the relevant software. After the Oculus app is installed your good to go. Play games, watch videos or enjoy a 360° photo gallery from Getty Images. Keep in mind that some games or apps will cost you between $1.99 and $9.99. Users are glad that the new and improved version of the Samsung VR headset has been put on for consumer use. Their appreciation of the VR immersion level given by the VR headset is positive, although, as one can guess, they are somewhat unsatisfied by the fact that the level of detail depends on the phone’s screen size. There are few unhappy users of the Samsung Gear VR, be it due to technical issues or by the VR immersion. Some state that the Gear VR stopped working after a couple of months – between 2 and 5 months. Others, that they had problems trying to install the software necessary to use the VR headset. However, the problems were overcome after tweaking their phones. If you’re not willing to buy a new Samsung phone just to be able to enjoy the Samsung VR headset, we recommend the Google Daydream VR headset. See what the difference is. 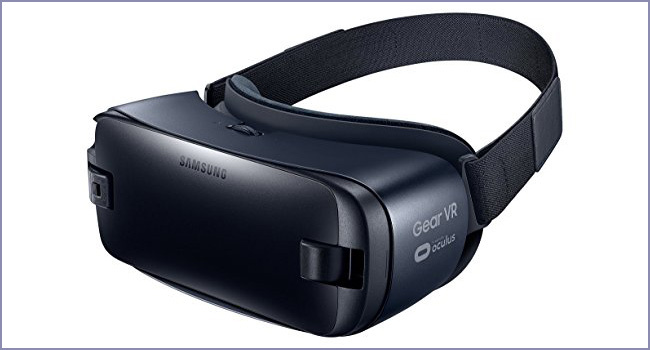 The Samsung VR headset is a powerful tool for those who already own a Samsung phone to explore and enjoy the VR world which is already showing on the horizon of this new technological era. Powerful, sleek, adjustable, this piece is a direct competitor to the Google Daydream VR headset. In spite of the fact that it is restricted to Samsung smartphones only, it is an affordable device which will offer a glimpse of what’s ahead of us.